The first case of nakedness recorded in the bible is in Genesis 3:1-24. Nakedness carries with it the weight of shame and disgrace. Nakedness is a very serious thing before God. It bothers on the issue of evil garments which was an issue with mankind right from the beginning. Adam and Eve were naked but not ashamed. This was until sin came in and then they became conscious of their nakedness, their sorry state. Some people are fully clothed in their own eyes but as far as God is concerned they are naked. 1. It is to be without covering. 2. It is to be exposed, leaving yourself to be attacked by evil forces. 3. It is to be unprotected. It is when the protection of God described under Psalm 91 is no longer there. 4. It is to be without your umbrella. 5. It is to be unclothed in the spirit realm. Matthew 25:36. Nakedness is to be uncovered before God and before the powers of darkness and probably not even be aware of it. It is to become the laughing stock of your enemies. I pray that will not be our portion in the mighty name of Jesus. 1. It takes spiritual eyes to see it and spiritual discernment to perceive it. This explains why Adam and Eve never knew that they were naked until their eyes were opened. 2. Nakedness comes in levels and stages. Some are totally naked; others are naked from the head to the waist; and yet others from the waist down. 3. For some it is their womanhood and their manhood that are exposed pointing to what the devil wants to use to bring them to shame. Others it is their breasts, pointing to the spirit of seduction in them that needs to be addressed and dealt with. 4. There is yet hope for you today because even nakedness cannot separate you from the love of Christ. Romans 8:35. 5. As Christians, we are expected to put on certain garments. Nakedness is not one of them. We are to put on Jesus the Author and Finisher of our Faith and all that He represents such as love, mercy, and wisdom. We are to think like Jesus, act like Jesus, and take on His personality. 6. It is our responsibility as Christians to cover our fellow Christians when they are naked. Matthew 25:41-46. This is also why the Bible warns us to be careful lest we ourselves fall into the same temptation in the following verse: "Wherefore let him that thinketh he standeth take heed lest he fall." 1 Corinthians 10:12. 2. Those clothed with any other garment other than the white garment which the Father and Jesus wears and expects us to wear. Revelation 3:18. 3. Those clothed with dirty garments that can never be white again. 4. Those that are covered with inadequate garments or garments that can never truly cover a person properly. For example running to beggarly powers for help. 5. Those that are wearing garments that are too small for them and so expose them. 6. Those that have a wrong perception of themselves than God has of them. 7. Those wearing garments that God never ordained for them to wear. 8. Those that are uncovered. This could be partially or totally. 9. Those that are exposed without divine protection. 10. Those that are on the outside where the blood of Jesus cannot cover them and the umbrella of the Almighty cannot cover them. 11. Those that are robed in any other garment other than the garment of Christ. Revelation 3:17-18.
a. This will debar you from the marriage supper of the Lamb. Revelation 19:9.
b. Money cannot buy it. c. Only the blood of Jesus can qualify you to wear it and can keep it clean. 12. Those that are wearing the garment of shame and disgrace. 1. Sin. Adam and Eve. 5. Dishonoring those to whom honor is due such as parents and other spiritual authority figures. 6. Going outside the covering of Jesus to places where God is not welcome such as cult houses; Hindu and Buddhist temples; and other polluted places. 7. Spiritual insensitivity – spiritual slumber, blindness, deafness, and lack of discernment. Revelation 3:18. 10.Rebellion. Good examples are Korah, Dathan, and Abiram. Numbers 16:1-28, 26:9-10. Also the Israelites who made the golden calf and went naked and wild serving it. Exodus 32:4-35. 11. Bringing in unclean or cursed things. For example, Achan suffered destruction because of this. Joshua 7:24. 13. Satanic programming of evil load into a person's life. 15. Evil altars and satanic intermediaries. 17. Curses and unbroken covenants. WHAT ARE THE CONSEQUENCES OF NAKEDNESS? 1. It steals a person’s glory. 2. It brings shame and disgrace. 3. It brings reproach to the name of Christ. David and Bathsheba. 4. It brings demotion. Samson was demoted. Adam and Eve were demoted. 6. It takes you back to square one. This is what happened to Gideon. Judges 8:24-27. 9. Captivity including spiritual and physical slavery. 10. Evil transfer and exchange. For example, of sickness, affliction, and untimely death. 11. Untimely death. Samson died prematurely with his enemies. 12. Caging of blessings and potentials. 14. Loss of spiritual power and strength. For example, Samson not only lost his eyes but he also lost his strength and power. Judges 16:19-20. 15. Affliction and suffering. 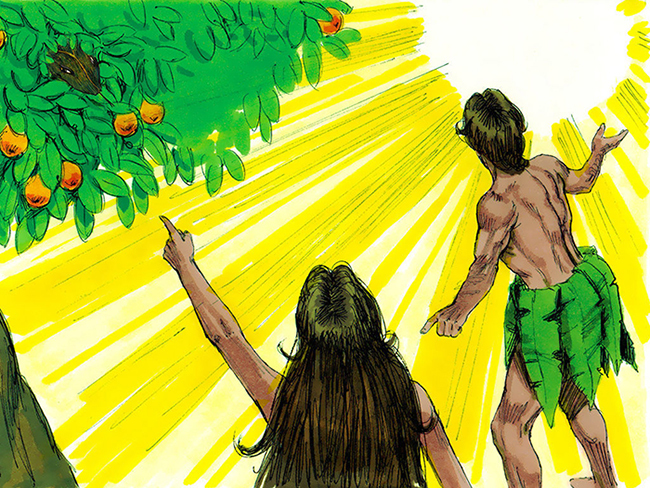 Adam and Eve were driven out of the garden to hard labor. 16. To make your position to be given to another. A good example is Judas Iscariot. The whole of Israel suffered for Achan's nakedness. Joshua 22:20. The whole of mankind is still suffering because of the nakedness of Adam and Eve. HOW DO YOU DEAL WITH NAKEDNESS? 1. Confess your sins and stay away from sin. 2. Deal with the source of the nakedness. For example, take away the accursed thing like Joshua did to Achan. 3. Replace scarlet clothes with white clothes. 4. Pray inquiry prayers asking God to open your eyes to your true position in Christ. 5. Barricade your life with the blood of Jesus and the Fire of God. 6. Do not stray from God’s word and His will. Psalm 119:67, Hebrews 10:36. 7. Be careful who you associate with. Avoid unfriendly friends. Judges 2:3, 1 Corinthians 15:33. 1. I dash every dream of nakedness to the ground now, in the name of Jesus. 2. Every evil ladder given the enemy access to my life catch fire, be roasted to ashes. 3. I close every open door of attack into my life with the blood of Jesus, in the name of Jesus. 4. Everything in my life making my enemies to laugh me to scorn come out and die. 5. Every owner of evil load of nakedness and shame, carry your load, in the name of Jesus. 6. O Lord, show my soul mercy, in the name of Jesus. 7. Let the power of the Living God destroy every garment of shame and nakedness assigned against me, in the name of Jesus. 8. O Lord save me and I shall be saved, in the name of Jesus. 9. Fire from the mouth of the Lord, consume negative situations surrounding me, in the name of Jesus. 10.Every power promoting captivity in my life, die, in the name Jesus. 11. Every power pronouncing sudden death upon my life, die, in the name of Jesus. 12. Any evil umbrella covering my head, scatter, in the name of Jesus. 13. 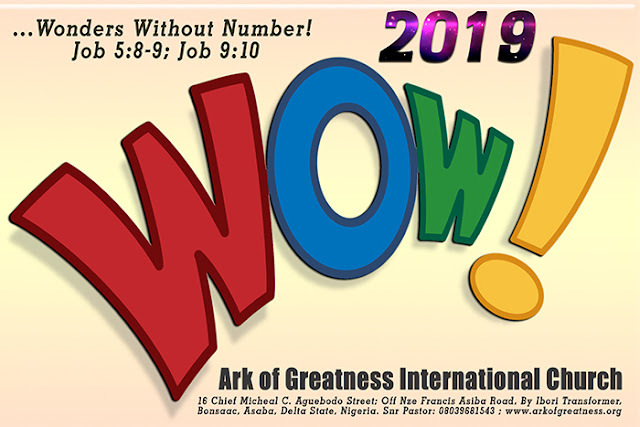 Yoke of satanic delay, break, in the name of Jesus. 14. Every power of shame directed against me, scatter, in the name of Jesus. 15. Every agent of nakedness assigned against me, fall down and die, in the name of Jesus. 16. Dream acquired yokes, break, in the name of Jesus. 17. Plantation of darkness, die, in the name of Jesus. 18. Every witchcraft prayer working against me, scatter, in the name of Jesus. 19. Every unseen fire burning in my life, die, in the name of Jesus. 20. Every gathering of slaughter, scatter, in the name of Jesus. 21. My life, disobey the voice of enchanters, in the name of Jesus. 22. Evil altars working against my life, receive divine judgment and be roasted. 23. I curse every curse sent against me and return them back to sender in the name of Jesus. 25. Every conspiracy assigned to demote me, scatter, in the name of Jesus. 26. Arise O Lord by your mercy and deliver me from my nakedness, in the name of Jesus. 27. Thank you Lord for delivering me. 1. Every power that has swallowed my goodness, burst open and vomit it, in Jesus name. 2. Every agenda of the wicked to naked my life, scatter. 3. Every relationship that does not favor me, scatter by fire. 4. Ladders of darkness permitting evil infiltration into my life, catch fire and be roasted. 5. Any weakness in my life that is assigned to cripple my destiny, come out and die. 6. If my brook has dried up, O Lord relocate me to my next place of blessing, in the name of Jesus. 7. Arresting powers of my father's/mother's house, release me and die, in the name of Jesus. 8. O God arise and let your mercy speak into every area of my life today, in the name of Jesus. 1. O Lord, deliver me from my nakedness, in the name of Jesus. 2. I refuse to cooperate with my enemies, in the name of Jesus. 3. Every thing representing me in the demonic world, I withdraw your representation, in the name of Jesus. 4. O God arise and let the root of nakedness in my life die, in the name of Jesus. 5. Every seed of nakedness in my foundation, be uprooted by fire, in Jesus name. 6. By me, the nakedness of my father's house shall be taken away, in the name of Jesus.